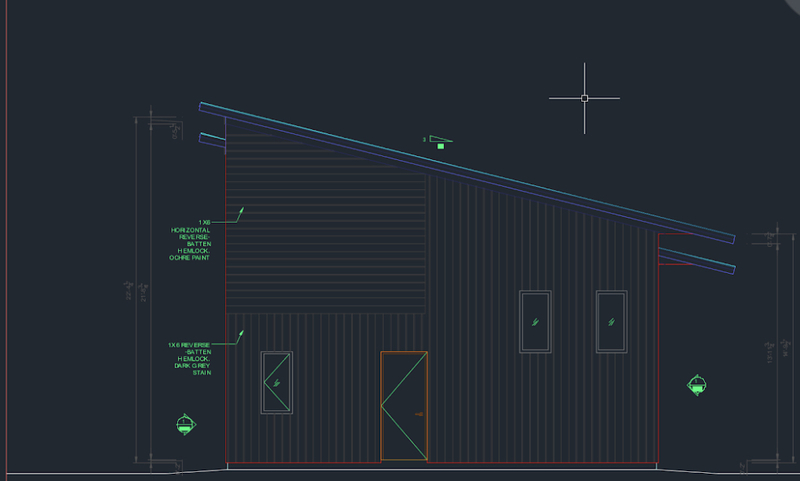 Our architects have submitted the final working drawings for the barn! After many rounds of review and critique, our architects have come to their final iteration of the barn’s design. 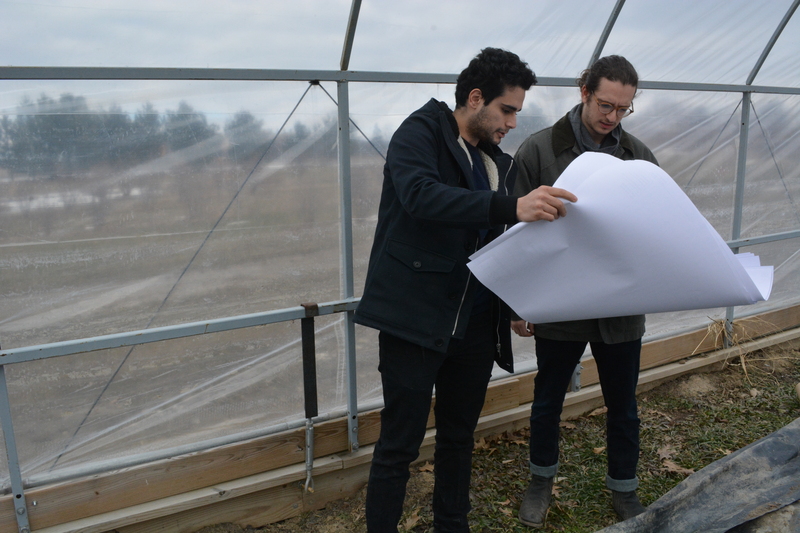 Jeremy and Sasson, our two architects, have worked tirelessly to produce a cohesive product that embodies the demands of sustainable design, agricultural needs, and the Cornell University building standards. 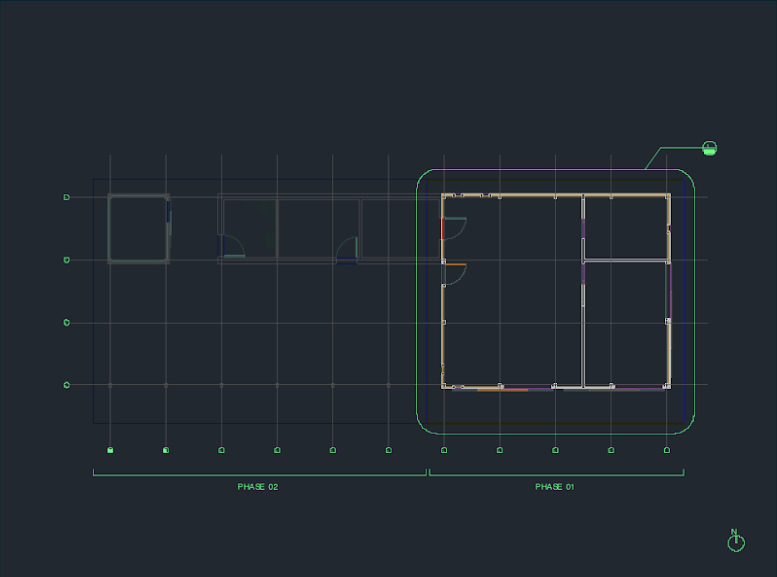 The drawings we developed focused mainly on the facade details. 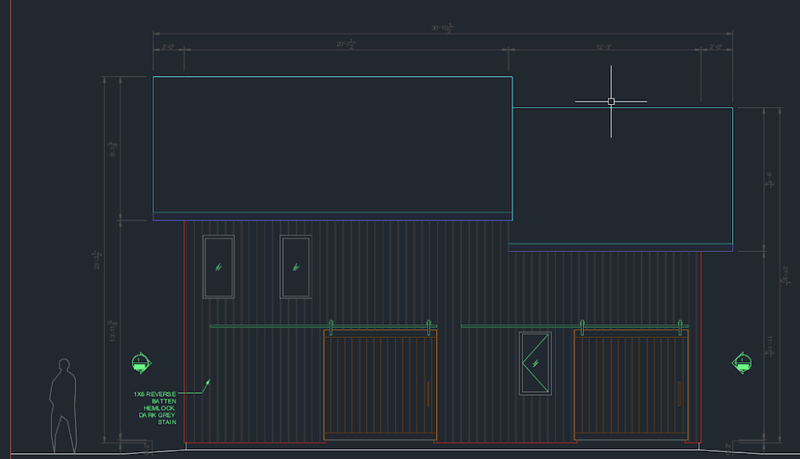 Jeremy and Sasson worked towards finalizing the drawings for the barn, but expect to make other small changes as we get closer to approval. The facade provides an understanding of the spatial characteristics within the barn for viewers outside of it. Our architects designed the structure for maximized natural lighting in the main space. This will minimize energy costs and will make for a pleasant, sunny community gathering point. The last rendering depicts our plans for future phases. The success of our upcoming crowdfunding campaign is essential for the completion of phase 2 of the barn. Now the drawings will go through the approval process so we can officially break ground this summer. This entry was posted in Design, Fundraising. Bookmark the permalink.